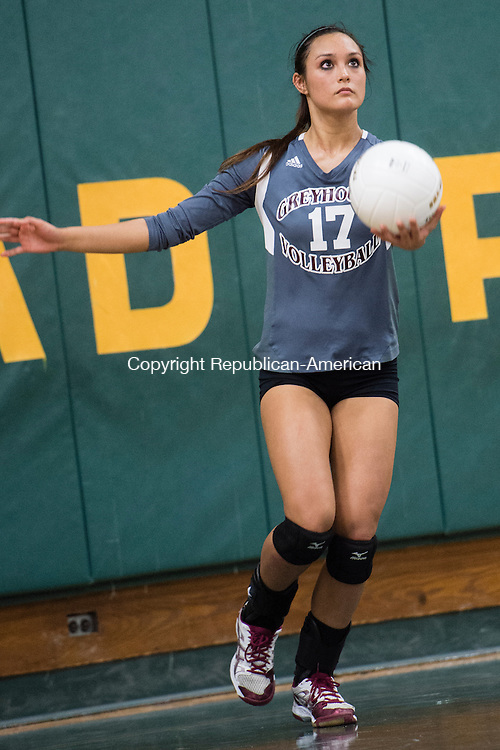 WATERBURY, CT - 8 October 2015-100815EC14-- Naugatuck's Alexa Blazas serves the ball to Holy Cross. The Greyhounds won, 3-0, at Holy Cross Thursday night. Erin Covey Republican-American.